The Key to Party Fun! I have come to think of the Goodie Gusher product like a 2.0 version of a pinata. Instead of bashing a pinata to get candy out, the Goodie Gusher uses a ‘Magic Key’ system where each player takes a turn to see if they will be the ones to RELEASE the candy. It’s a ton of fun with lots of anticipation and excitement that is perfect for parties and for your upcoming Halloween events! To get the party popping, just fill the Goodie Gusher with candy and prizes, hang it up and let the fun begin. Kids will take turns trying to select the Magic Key, which builds anticipation and excitement. Once the Magic Key is pulled it will automatically release a wide shower of party treats for the kids to enjoy! Goodie Gusher is a Hit at Every Celebration! Since we are having a fun unisex party, I wanted to get a Goodie Gusher that would be fun for both boys and girls. 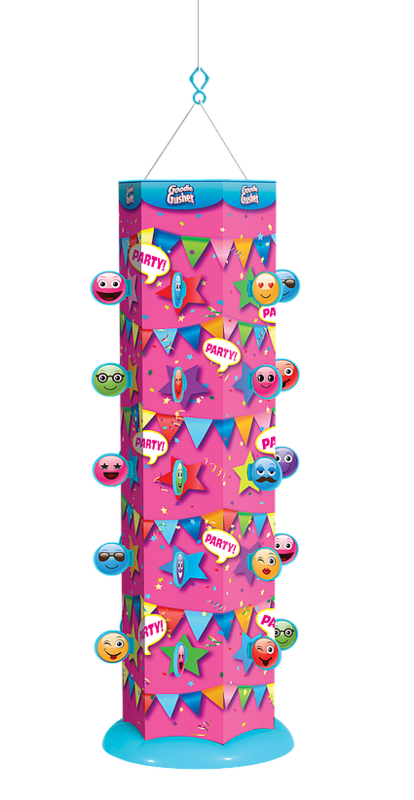 We ended up choosing the Goodie Gusher Pixie Pink Emoji Pinata because who DOESN’T love emojis, right? Plus, it is right ahead of the anticipated 2017 Animated Emoji movie, so it’s a great way to start the trend early. Each Goodie Gusher contains a themed Goodie Gusher Pinata, (30) Magic Keys, and (1) Hook for hanging. 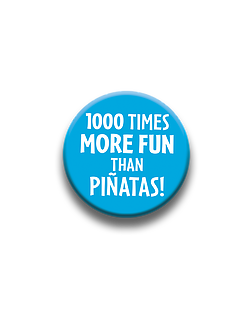 The brilliant thing about the Goodie Gusher is that, unlike a pinata, it can be used OVER and OVER again. The magic key changes each time, so that it really is a surprise at who will be the one to release the candy and surprises. It probably goes without saying, but BOTH my girls loved the Goodie Gusher and we are excited to share in the fun at their schools for their Halloween bashes. Awesome! Holiday Themed Goodie Gushers such as Halloween and Christmas will be coming out in 2017, so stay tuned!